Poi search ranking continuous top runner. Even with miles and point assets alone, I will figure out numbers that seem to be abnormal. You can read this post in 1 minutes. JAL began mileage alliance with Hawaiian Airlines. Finally what was waiting for was finally announced. Hawaiian Airlines award tickets can be issued with JAL Miles. However, this Hawaiian Airlines award ticket is strong! I think PLC members know the situation. Will there be improvement around JAL Mile award tickets? Welcome as news, but many of our PLC members will be looking down on it. It is better to have more information than less. “Terumi club”　Travel fee refund? It is also a member of our premium life club (PLC). . . . I do not believe in POI searching first place …? 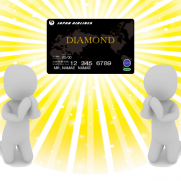 Earn miles with net points! Credit card market Still growing!